Smart Patterns Trading Systems are a complete turn key discretionary intraday trading system that focuses on trend trading through trend continuation patterns and order flow analysis and trend pattern analysis. The systems are available for any market but the systems thrive on volatility. 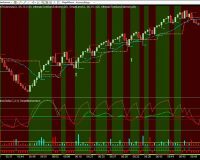 If you are looking to learn how to trade and advance your trading skills and learn to become profitable, this system is it! If you do not already have BloodHound, be sure to select a system that includes it. You can select any market you want for your Smart Patterns system and you can add markets if you want. At three licenses you get an open version with unlimited markets. When ordering your system for one or two markets, for faster processing, please specify which markets at checkout along with your NinjaTrader machine ID.